First, and foremost, thank you fellow Nobles for electing me as your 2019 Potentate. In 2013 Illustrious Sir Michael S. Mammay, P.P., appointed me to the line as 2nd Ceremonial Master. At the time, it seemed like a long road to be sitting in the “Big Chair.” But, from this end of the road, I am having a difficult time understanding where the time has gone. Maybe time can fly, but in the travels of Lady Phyllis and I, we have met many new friends and will cherish the memories of our time in Shrinedom. The income to keep our Shrine Center operating is derived primarily from Membership Dues, Rental Income and Fraternal Fundraising. 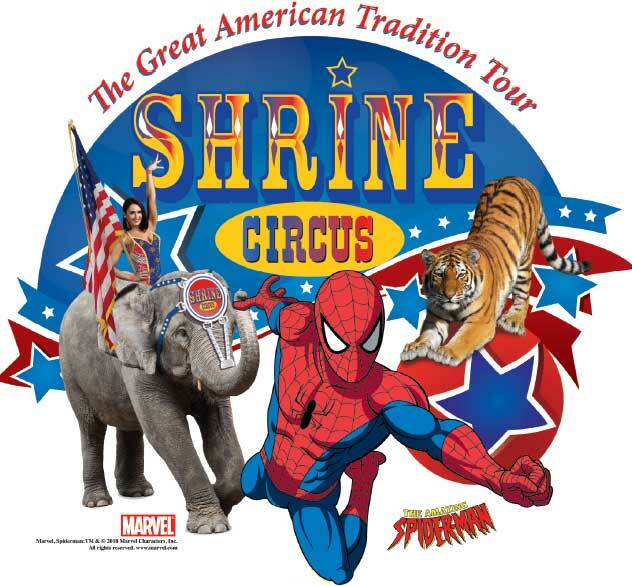 With the loss of the Shrine Circus, new fundraisers will be needed to replace this lost revenue. Plans are for two “A Night at the Races.” Also, more effort will be made to increase the attendance and net proceeds from existing fundraisers through new methods of promotion to the public. Lady Phyllis and I have chosen to make improvements to the Shrine Pavilion as Potentate and First Lady projects. A “Wish List” for the Shrine Center is being developed and will be published soon for all to see and perhaps dedicate donations toward listed items or projects. 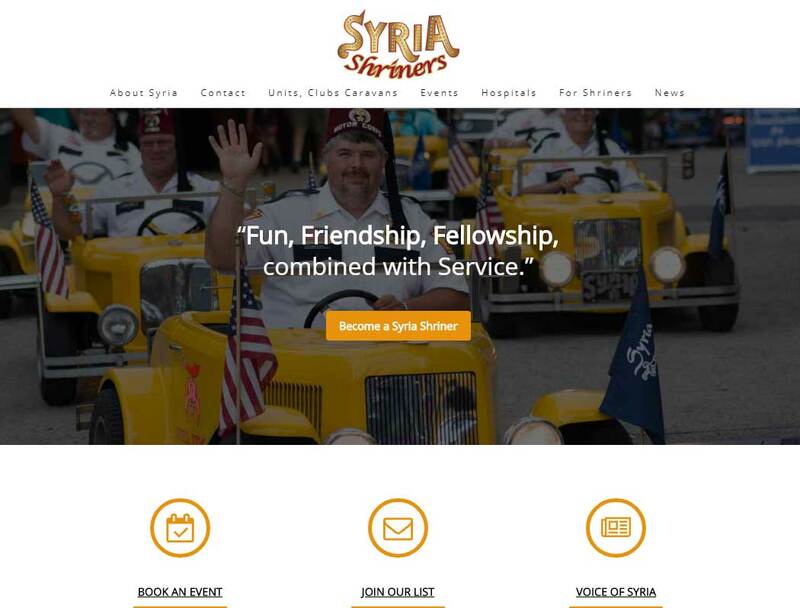 The “Syria Shriners Sons of Veterans” unit is very close to petitioning for a Charter. If your parent or grand-parent served in the armed forces of their country, you are eligible to join this unit. This year, Master Masons will have six opportunities to become a Syria Shriner. They can attend the June 5th Spring Ceremonial, the November 18th Fall Ceremonial, or they can receive a short-form obligation prior to one of the Syria Shrine Quarterly Meetings. Petitions must be submitted to the Recorders Office prior to the Board of Directors meeting preceding the Ceremonial or Quarterly Meeting for processing. On Sunday, September 16, 2018 at approximately 3:38pm, during the final intermission of the 69th Annual Shrine Circus, a domesticated camel, which had been giving rides to patrons during each of the five performances of the circus, was startled while returning to the ride platform. This caused the animal to rear and attempt to dislodge the three persons (one adult, two children) who were riding. At this time, we are unable to confirm initial reports that an audience member threw a nearby shovel at the camel’s feet during the ride, which allegedly startled the animal. At the time of the incident, the camel was being led by a trained and licensed handler. The animal had not displayed any abnormal behavior prior to the incident. The incident lasted at total of approximately eleven seconds before the camel was brought under control by the handler; all other animals remained under control during the incident. The three persons who were riding the camel were transported to the hospital for injuries sustained when the animal reared, as were three or four other audience members who were injured in the commotion of the crowd while the incident was occurring. Several people were released after being treated for minor injuries. This is first incident impacting patron safety in the 69 years of the Shrine Circus in Pittsburgh and is now being investigated by the proper authorities. The Shrine Circus expresses its deepest regrets for the incident and extends its sympathies to all those who were injured or impacted by the event. Grab your stein, Pittsburgh, and head to the Shrine as The Syria Shriners present "Rocktoberfest" on Sunday, September 23rd, 2018! Rocktoberfest presents the season’s best value with an all-inclusive ticket for only $25.00. You will not find the same traditional food, exciting entertainment and Oktoberfest beer for that price anywhere else in Pittsburgh! Ach, du Lieber! Since 1996, this is the best party that Syria Shriners have each year. Event Co-chairmen Bob Addleman and Dave Gardy are long-time fans of Oktoberfest celebrations. “Oh, I am,” says Bob Addleman. 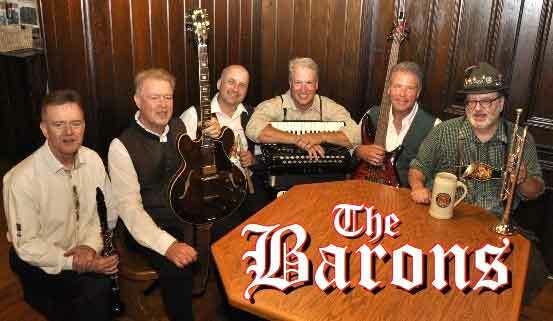 As a member of “The Barons,” he has played at hundreds of Oktoberfests since 1987. Come One, Come All to Rocktoberfest! This event is open to the public! We really hope to welcome families and festival-goers with an interest in traditional activities. Rocktoberfest offers a more current approach to the event, though, at least from a musical perspective. It is more like what is played in the fest tents in Munich, combining traditional and modern music from Germany. Austria, and the USA. We truly hope all of Western PA, German or not, will come out and enjoy a great meal, lively music and take part in all the fun we have planned. “Really, this an event for everybody, very family friendly. We don’t wish to give the impression that our Oktoberfest is only a beer blast. 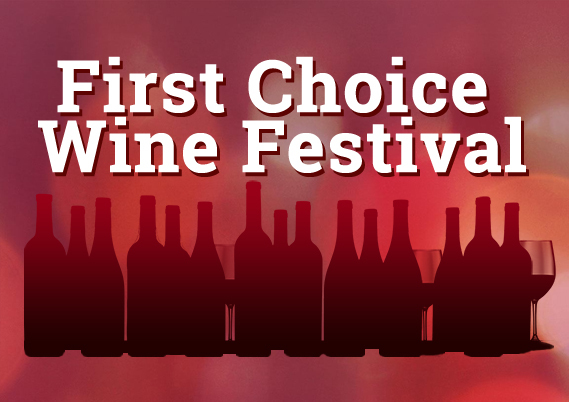 We offer a 1-price ticket with sumptuous buffet, a day’s worth of entertainment and beer and beverages. It really is a tremendous amount of value,” Bob said. 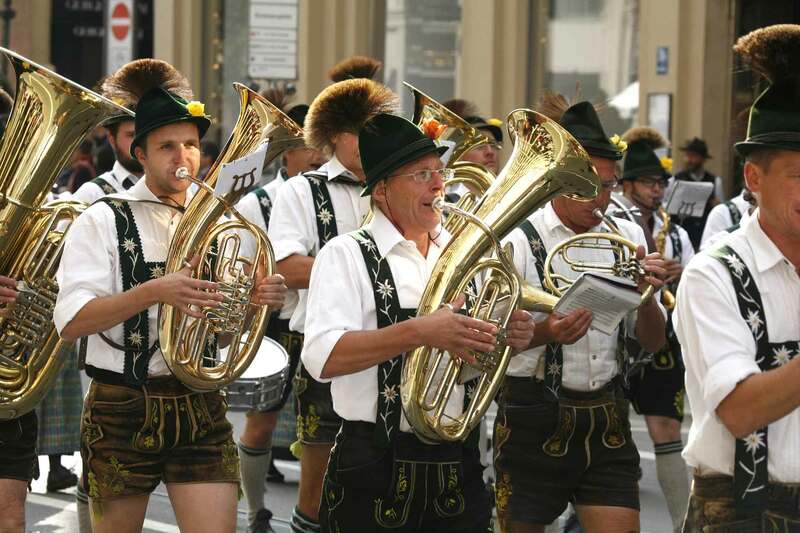 We’ll display traditional & modern German and American music featuring Pittsburgh's Premier Oktoberfest band.. THE BARONS! Co-chairman Bob Addleman is a member of The Barons. They’ll begin playing at 2:00pm and will continue playing throughout the event. A very special German Folk Dance performance by Alpen Schuhplattler und Trachten Verein will start at 4:00pm. Rocktoberfest will also play host to plenty of Bavarian festival fun and games. We’ll have activities for guests to compete and test their skills. There’ll be a ‘most decorative stein’ contest, a nail driving contest, log splitting contest, a grape stomping contest, and to keep liabilities low, a chicken chucking contest (rubber chickens, of course) will take the place of an axe throwing exhibition. *Reservations are REQUIRED by September 14th. There will be NO TICKETS AT THE GATE. 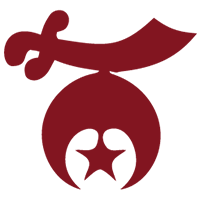 Nobles throughout the Oasis take notice, the Syria Shriners are pleased to announce to one and all the debut of our new website! The address is still the same, www.SyriaShriners.org, but we now boast a fresh new look. The new site adds modern functionality that we hope will serve the Nobility's desire for a strong online presence to promote the activities of our Temple. The newly designed website satisfies the vision of our 2018 Potentate, Bill Branthoover. Our Illustrious Sir decided this spring to make the site redesign one of his focal projects this year. "It is my great pleasure to announce the release of our new fraternal website, Bill said. "It is my hope than an improved online presence will help educate and inform both the nobility and the public, who express a desire to learn more about our wonderful fraternity and all that we have to offer." The site is proud to offer each Unit Club and Caravan their own space to showcase the purpose, history and activities of each to current and potential members. 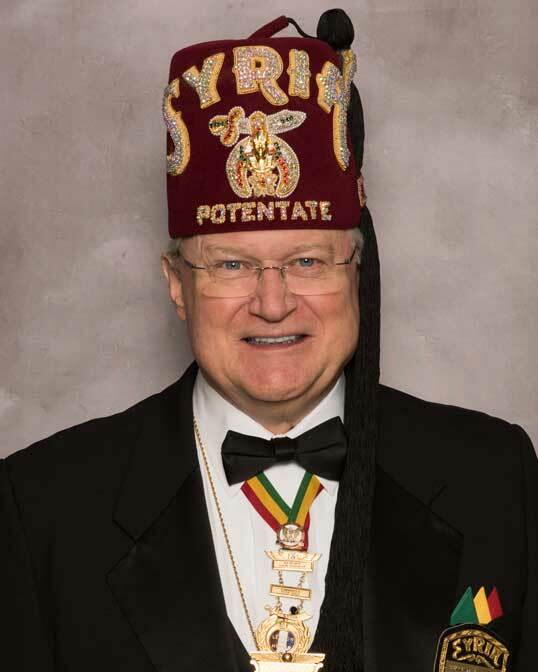 New links will guide site visitors quickly to resources and information about our Shriners Hospitals for Children, information on becoming a Shriner and of course, Freemasonry in our great state of Pennsylvania. Additionally, we owe an immeasurable debt of gratitude to our two talented Nobles Tim McKiernan and Tom Ruch of McKiernan & Ruch Photography. Without their incredible creativity and generous permission, the site would not be as beautiful visually. Their hard work truly serves as an amazing record of the activities and people who make our Temple as great as it is. Thank you, both! We hope you all will enjoy this new site well into the future. If you have any comments about the new site or if you have content updates or suggestions that may help to improve it, please feel free to send us a note via the contact page. Shriners Flea Market Returns For 2019!